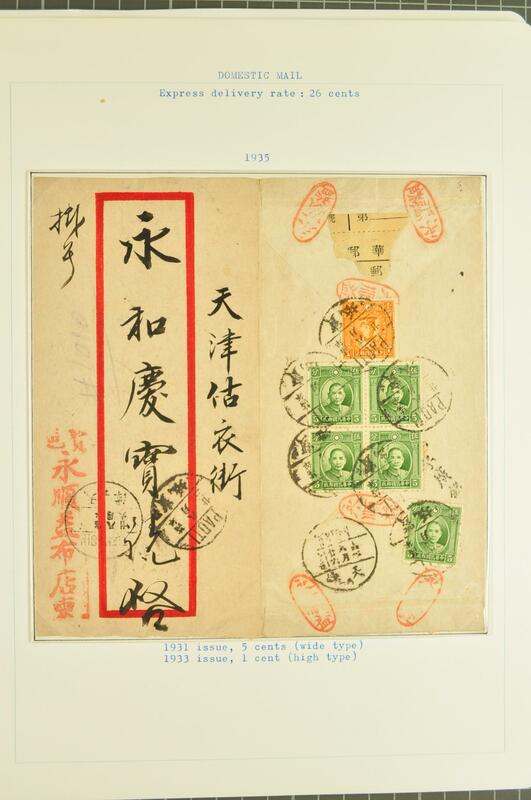 1900/1980c. 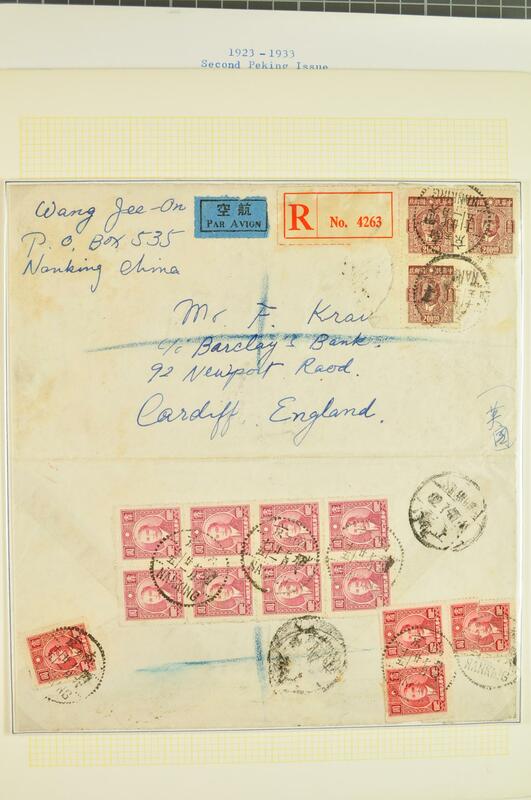 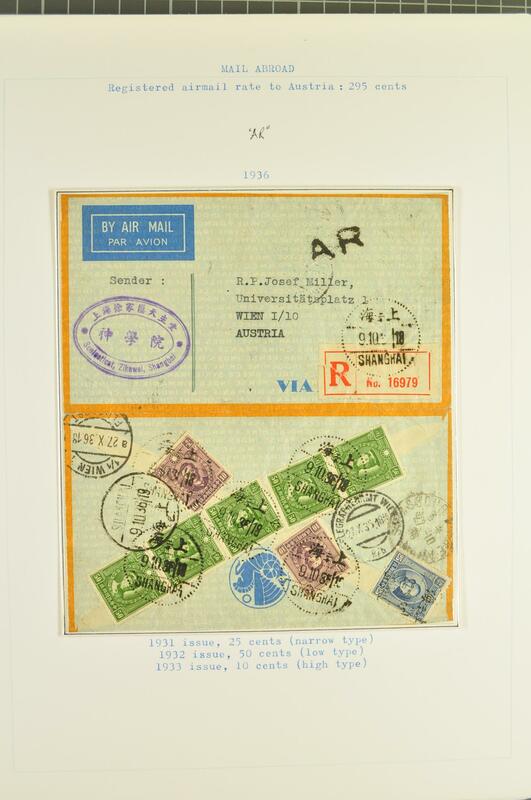 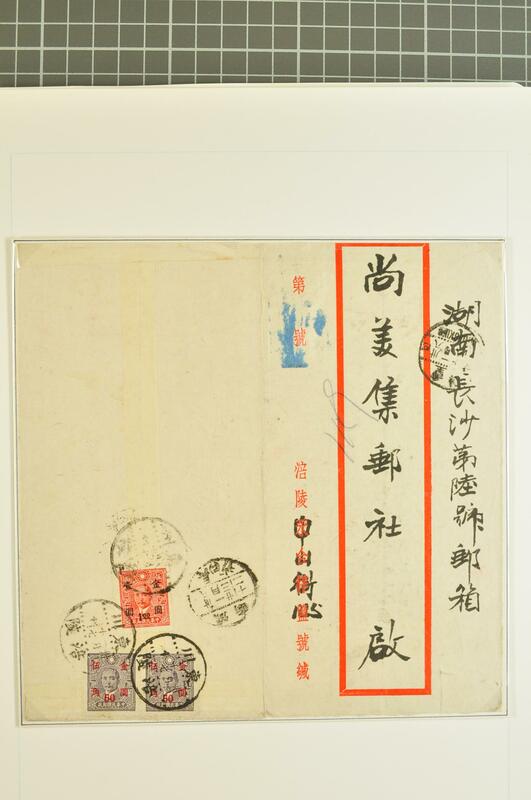 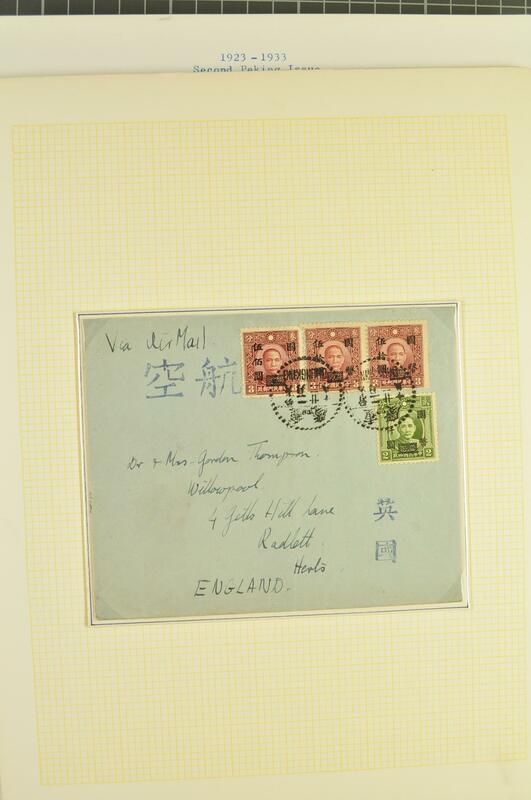 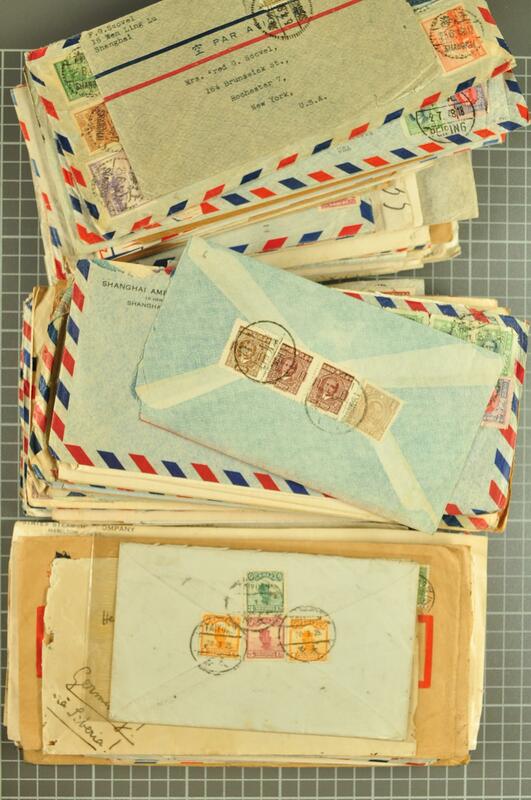 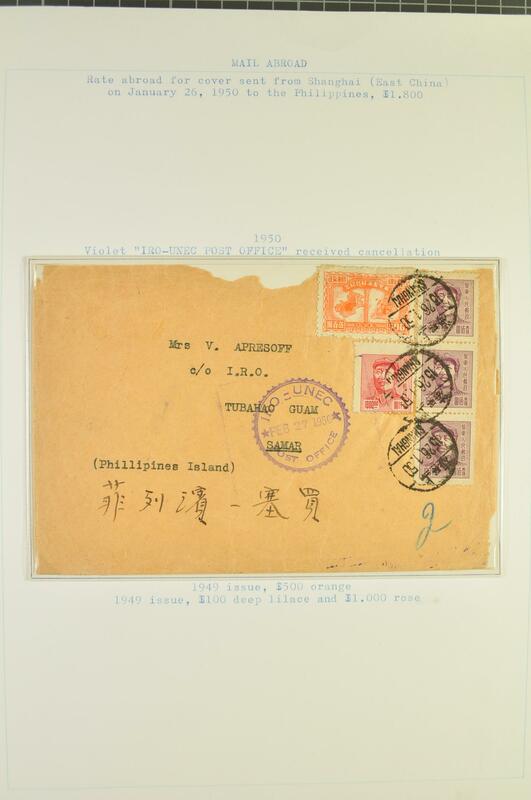 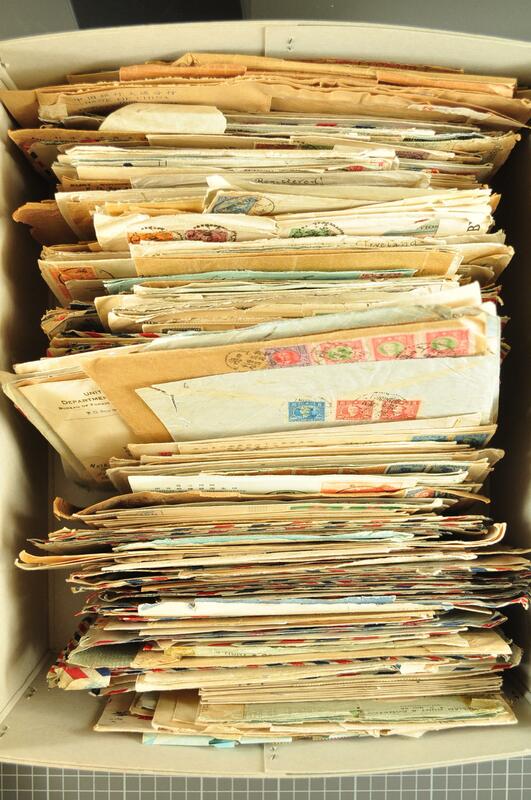 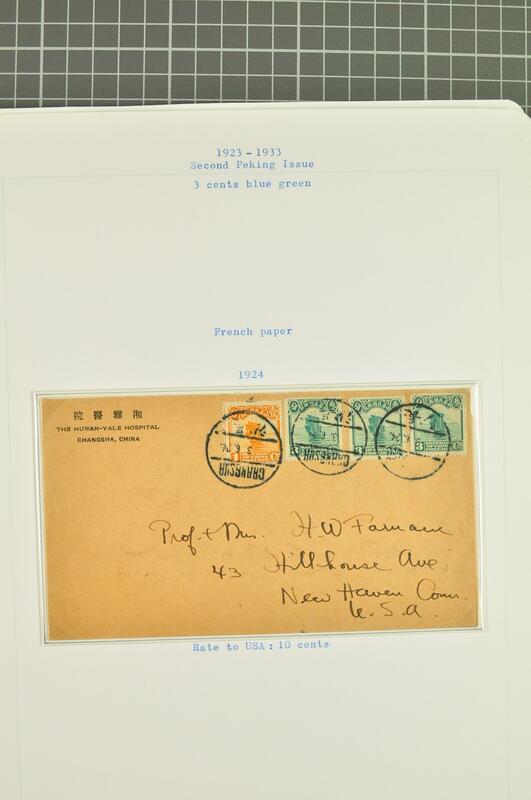 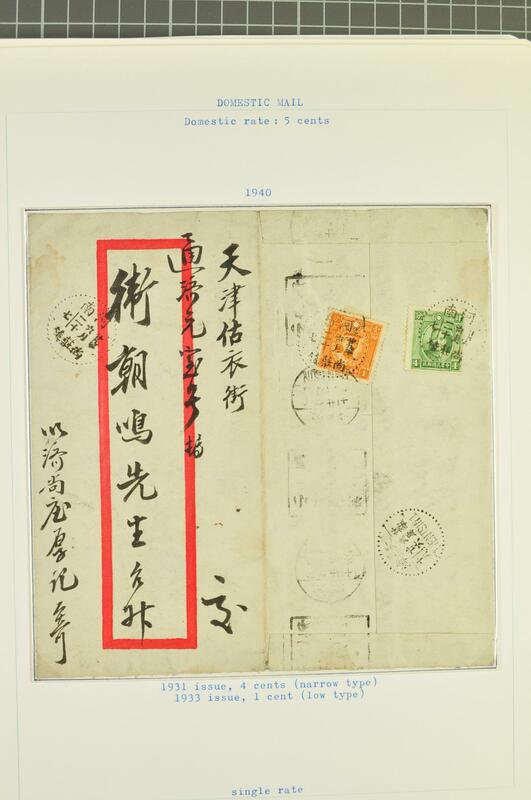 : The extraordinary collection of Chinese Postal History with 850+ covers/cards and additional pieces and fronts not included in the count, with Coiling Dragon postcard usages, Martyr issue frankings, Sun Yat-sen issues, CNC surcharge covers, East China usages, Censored Airmail covers sent during World War II, Unit stamp covers, the vast majority of the covers being prior to 1948 and largely commercial usages but with some useful FDC's noted, destinations and an interesting group of addressee's (Kauder, Rosewaya real treasure trove for the specialist or dealer. 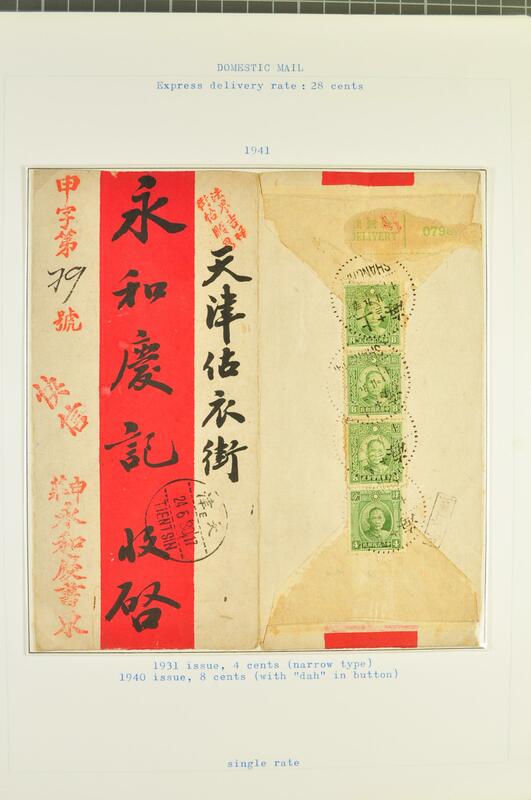 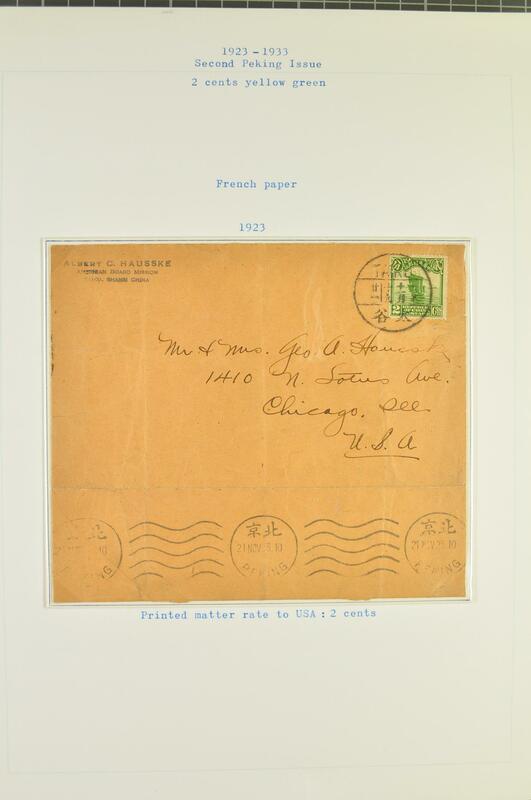 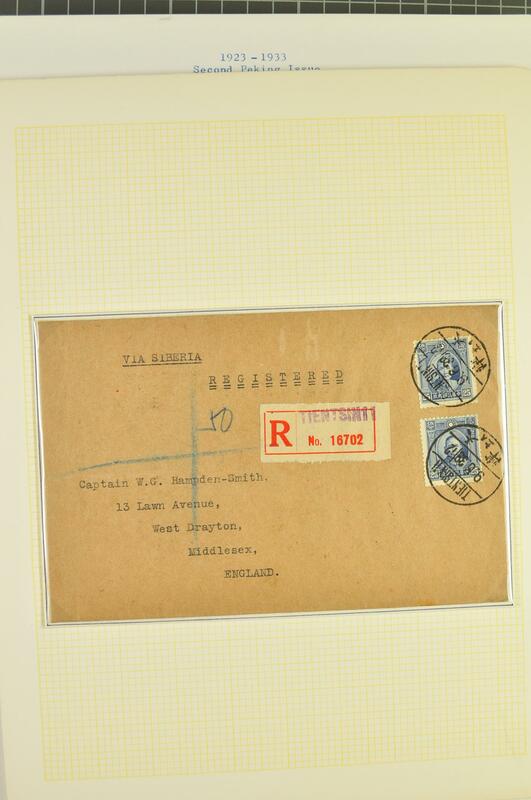 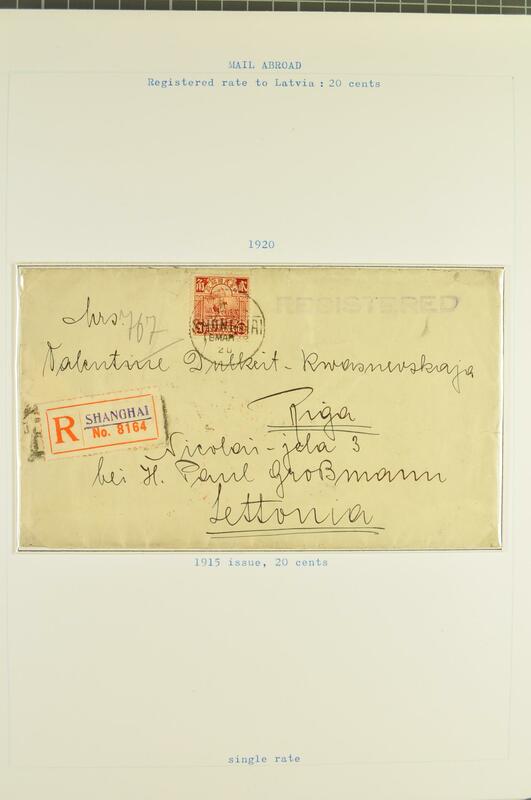 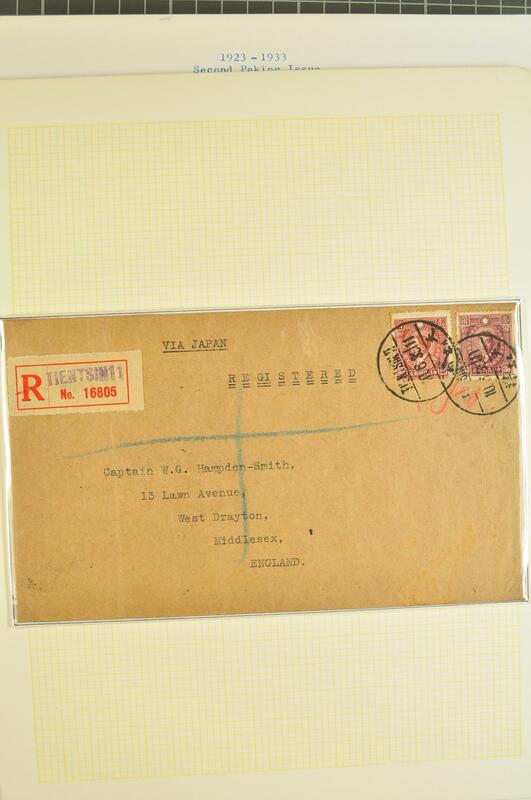 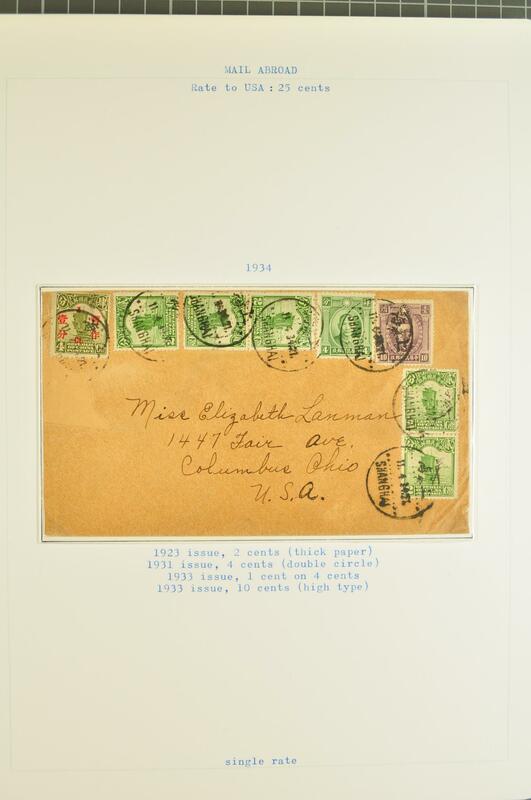 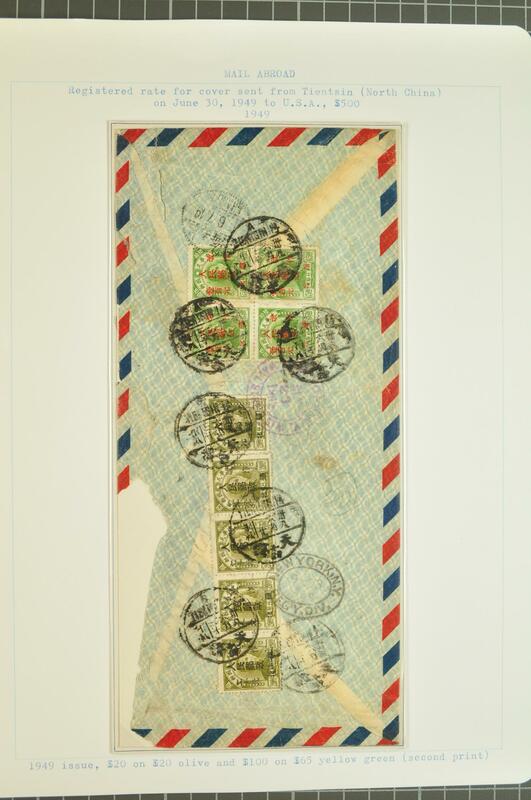 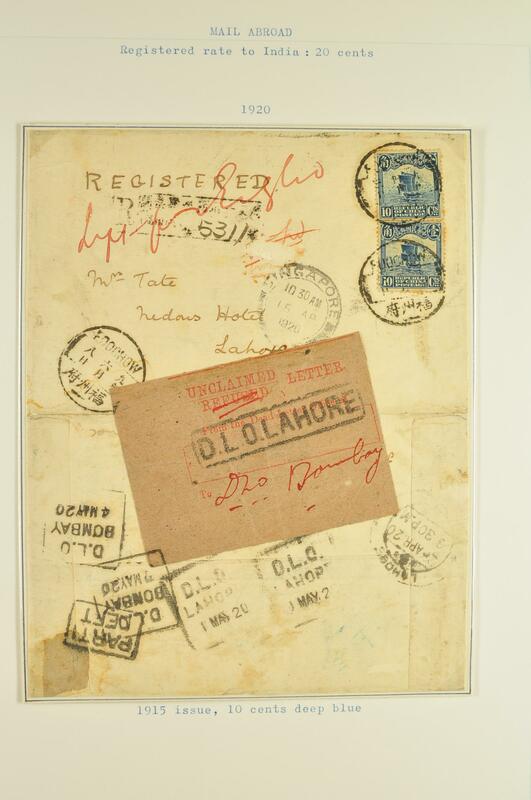 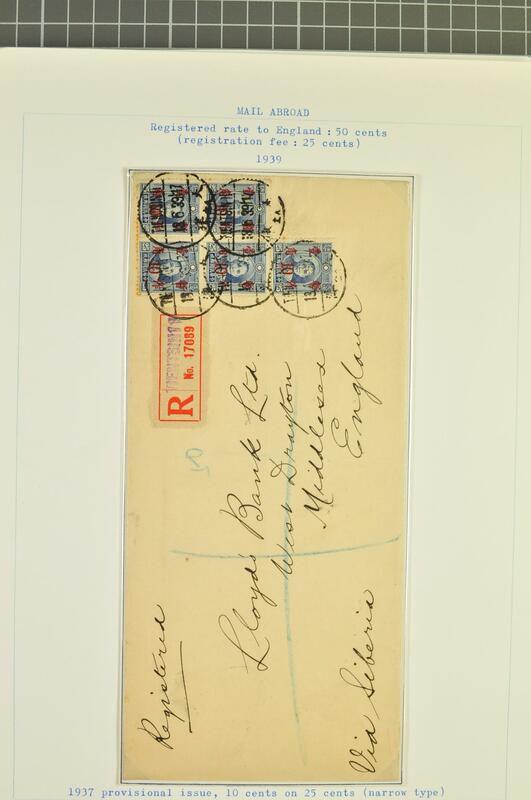 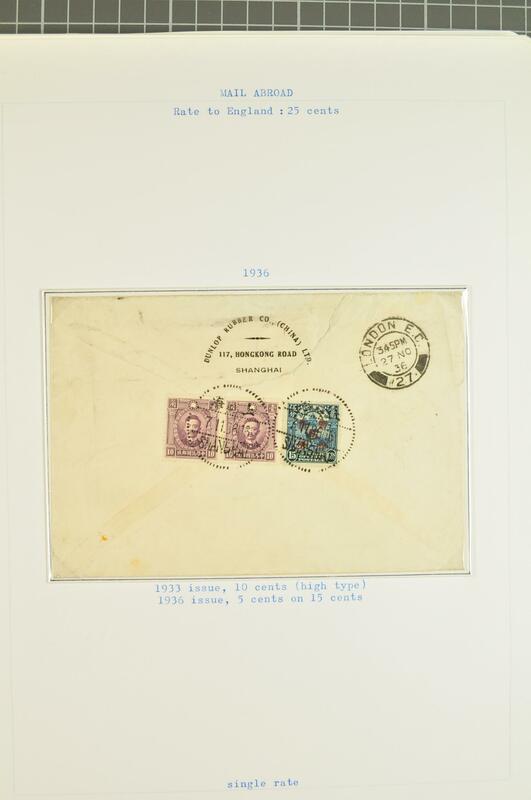 Condition is obviously variable but with some outstanding covers to be located by the diligent viewer.